Cardio Debate > Cardio Notes > Diagnosis and Prognosis > Is cardiovascular drug development really coming to an end? Is cardiovascular drug development really coming to an end? A recent editorial published in JAMA Cardiol in December 2017 argues that cardiovascular drug development is grinding to a halt. Heart disease affects millions of people, and remains the biggest killer in the US, if not worldwide. Therefore the cost of new drugs is likely to have a significant impact on healthcare budgets simply by virtue of the large numbers of people who suffer from CVD. 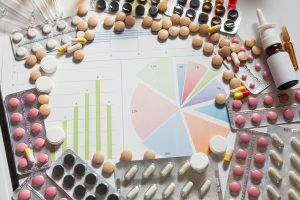 Packer writes that factors outside the immediate scope of therapeutic benefit – including issues with health insurance, and health care systems introducing barriers to prescribing new drugs – are having an impact on drug development. Also, the high cost of running large-scale clinical trials is having a dampening effect. Furthermore, advances in areas such as genomics and systems biology that, for example, have paved the way for the identification of new therapeutic targets have not correlated with an increase in new drug development. Clearly there is no easy or straightforward answer to this problem. In the meantime, recent news reports describe how life expectancy in the US has decreased over two consecutive years, in part because of the prevalence of CVD. Do we really want to decrease investment in CVD drug research at this point in time? Packer M. The imminent demise of cardiovascular drug development. JAMA Cardiol 2017; 2(12): 1293 – 4. Fard, Roe MT, Ahmad T, et al., Cardiovascular drug development: Is it dead or just hibernating? JACC 2015; 65(15): 1567-82.